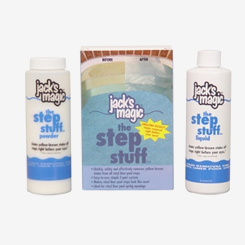 safely and effectively removes most common stains off pool steps right before your eyes. 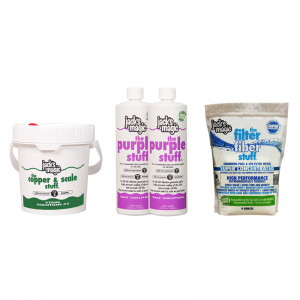 This easy to use product is safe for all vinyl liner steps. Includes (1) 8 oz. liquid and (1) 8 oz. powder. 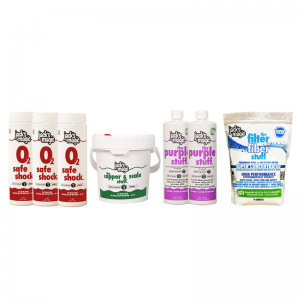 Can I use the Step Stuff on my plaster finish pool? No, the Step Stuff is only designed for use in vinyl liner pools. How long after I put in the Step Stuff s it safe to swim?